Canada's newest racetrack, Century Mile near Edmonton, opened its casino operations on April 1. Horse racing begins later this month. 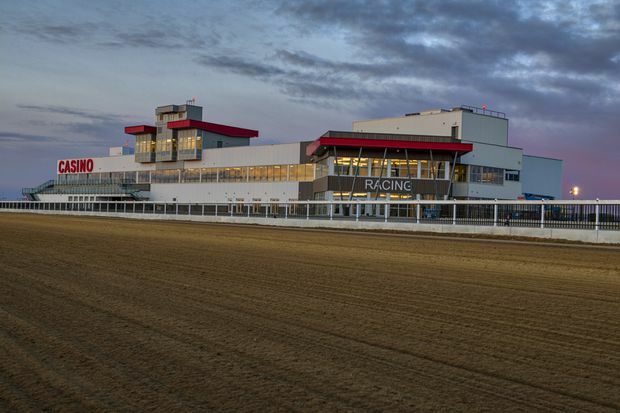 “Old tracks were built to house gamblers, basically,” says Paul Ryneveld, general manager of racing at Century Mile, located in Leduc, Alta., a city of about 30,000 south of Edmonton. “They were built with grandstands that you sat and watched the races from. You went inside to long lines for the windows you could bet at, and when you finished doing that, you turned around and the concessions were right there. Century Mile, on a 103-acre plot of land that includes 1,700 parking spots, is located just off Highway 2, the main corridor linking Edmonton and Calgary, and near the Edmonton International Airport. It’s also near the defunct Northlands Park, a racetrack that had been Edmonton’s main horse racing centre for more than a century before ending its race schedule last year and closing the rest of its operations at the end of January. Northlands, whose property has been taken over by the City of Edmonton from the previous owners, a non-profit community service organization, was the latest casualty in an industry that has scrambled to adapt after losing the gambling monopoly it enjoyed for decades. Prior to 1969, racetracks were the only legal sites in Canada for gambling (besides church raffles and wheels of fortune at country fairs). Century Mile Racetrack and Casino has a winning location, near the Edmonton International Airport, easy access to highways and a monopoly on horse racing in the area. It replaces the now-closed Northlands Park as the Edmonton and area's horse racing destination. With other entertainment and gambling options growing since then, and horse racing losing its appeal as a spectator sport, fans drifted away. Windsor Raceway (shuttered in 2012) in Windsor, Ont., Greenwood Raceway (1994) in Toronto and Blue Bonnets Raceway (2009) in Montreal were also put down. The industry’s response to changing times has been to double down on the amenities beyond the actual horse racing, hoping that side revenues can subsidize on-track operations. Century Mile, owned by Colorado-based Century Casinos Inc., is betting that this formula, blending derbies and diversions, can put it in the winner’s circle. “We know it works because we’ve seen it work,” explains Mr. Ryneveld, a 30-year industry veteran who is also the general manager at Century Casinos-owned Century Downs Racetrack and Casino, which opened in 2015 near Calgary. Located just north of the city limits, Century Downs brought live horse racing back to the region for the first time since 2008 and the closing of Stampede Park. 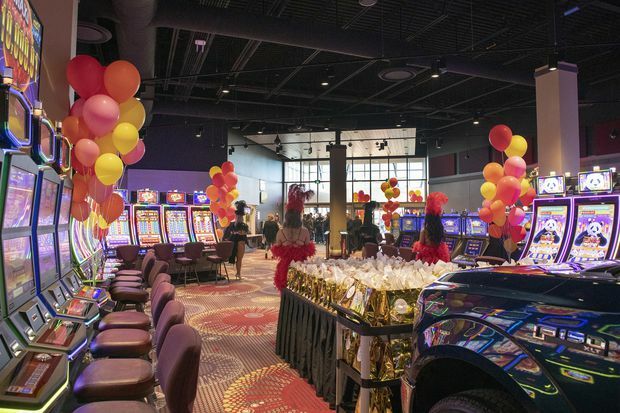 The more than $25-million project included the track, a barn with 100 stalls, and a 33,000-square-foot casino with 550 slot machines and electronic table games. While Alberta might be the epicentre these days of modern racetrack development, it’s not the only province to saddle up aboard the industry’s transformation. The $318-million expansion at Rideau Carleton Raceway Casino in Ottawa proves that development at a horse track these days doesn’t have to involve the actual track. In 2017, Hard Rock Ottawa teamed with the 57-year-old facility to revamp the horse track and gambling complex in the city’s south end after winning a contract from Ontario Lottery and Gaming Corp. (OLG) to run the gambling operation. Development plans over six years call for the addition of a 2,500-seat concert theatre and a nine-storey hotel with 200 rooms. There are also plans to add 750 slots to the 1,250 existing machines, which has been a point of contention on Ottawa’s city council because, in part, it expands gambling in the city. But the partnership was a necessity after the gambling laws in Ontario swung drastically in the past two decades, says Andrew Wright, director at the Rideau Carleton Raceway. In 1998, Ontario’s Conservative government introduced the lucrative Slots at Racetracks Program, giving track owners 10 per cent of the slot winnings with another 10 per cent going into race purses (the money awarded to the highest finishers), which attracted more races and riders from all over North America, particularly in standardbred racing. 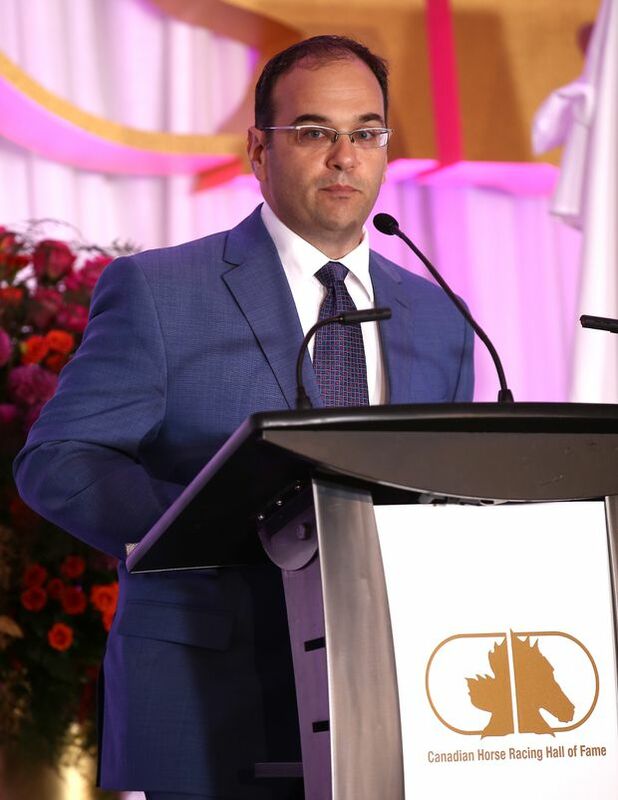 This continued until 2013 when the province’s successor Liberal government did away with it and OLG announced its modernization program, which put operating licences at racinos up for grabs. With Mr. Wright’s team winning its own operating licence, Rideau Carleton Raceway is the only racino in the province to own its licence and pocket the money from on-site gambling. “We joint-ventured with Hard Rock and we were awarded the operating licence, and the reason I did that is because it was the only way we could guarantee to keep racing alive,” he explains. Darryl Kaplan, Canadian Horse Racing Hall of Fame president, explains that racetrack expansions aren’t just happening in urban centres, particularly for standardbred (harness) racing. The last harness race at Woodbine Racetrack in Toronto was run in early 2018 before owner Woodbine Entertainment Group moved its standardbred racing to rural Campbellville, Ont., and invested $10-million in the renamed Woodbine Mohawk Park to make racing year-round. Changes in 2009 to Ohio’s gambling laws, allowing casinos and racinos, have led to a building frenzy, with four new horse racing facilities opening across the state over the past decade. Jack Thistledown Racino in North Randall completed a US$70-million renovation in 2016, expanding the existing racetrack to include more than 57,000 square feet of casino, dining and entertainment. The renovation also included a 1,000-space parking garage and 365-metre “living wall” at the casino’s entrance to house more than 7,000 plants. Thanks to this push toward the all-encompassing entertainment experience provided at racinos, Ohio is now one of the top states in the United States for slots revenue, almost US$1-billion in 2018. And the expansion of existing tracks, which were claiming losses of almost US$100-million just more than a decade ago, is continuing even with fairly new builds. Last year, MGM Resorts International bought Hard Rock Rocksino Northfield Park, Ohio’s largest racetrack, and a significant expansion is expected even though it was constructed in just 2013. Did Calgarians dodge a real estate bullet by rejecting the 2026 Winter Games?